Sharon Whitelocke (second right), deputy general manager, JN Fund Managers, and Nadine Bonner-Williams (right), Grade Six educator, Allman Town Primary School, respond to questions from Robinho Burton (centre) and other students of the school. 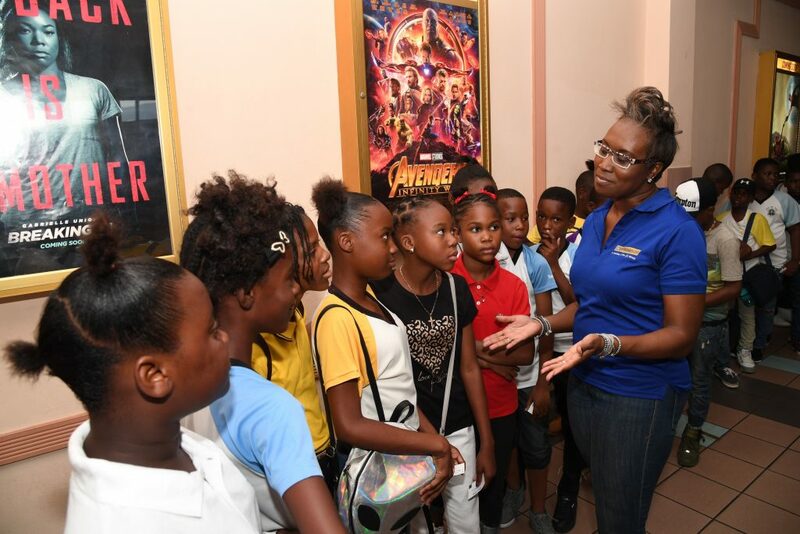 The antics of Peter Rabbit and his merry band of relatives, in the movie, “Rascal, Rebel, Rabbit” provided a fun-filled afternoon for 68 students from Allman Town Primary School, arranged by JN Fund Managers Limited. The students completed their Grade Six Achievement Test (GSAT) in March, and are awaiting results that are likely to be published in June. 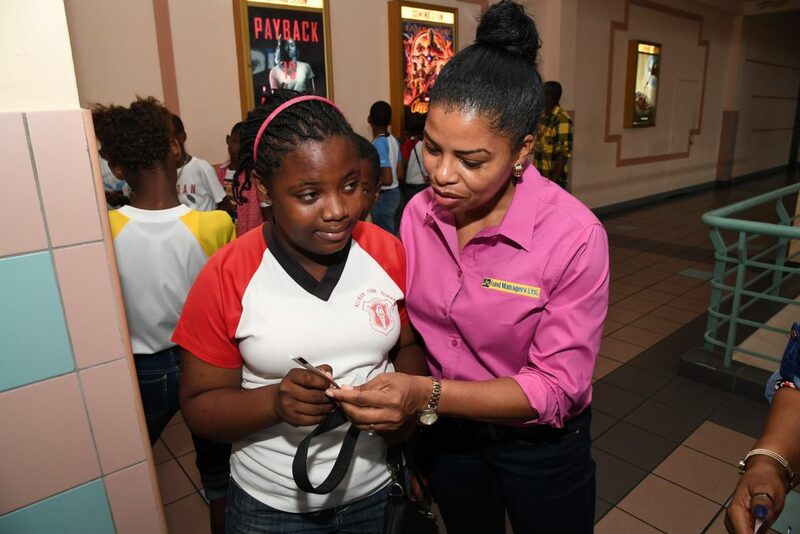 Their movie outing at the Palace Cineplex in Liguanea, St. Andrew, was organised by the investment management company to celebrate their efforts, as they out of the primary education system. 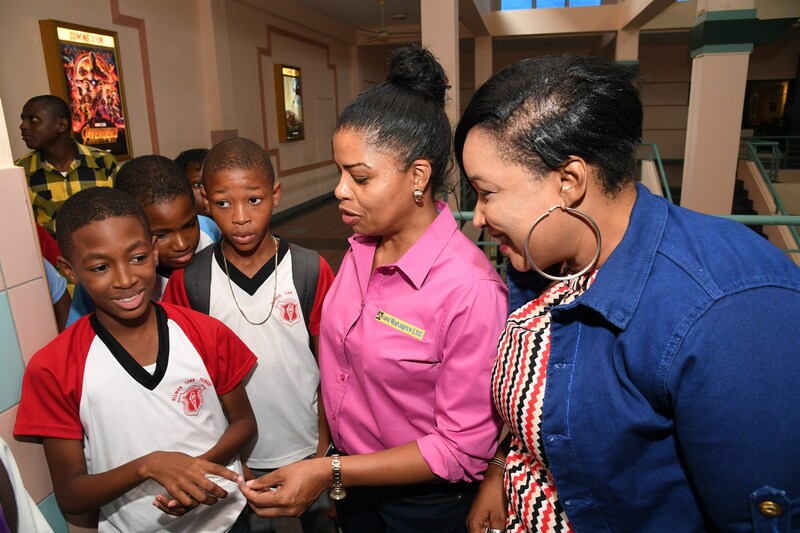 Sharon Whitelocke (second right), deputy general manager, JN Fund Managers, gives answers to Brianna Kenton Grade Six student, Allman Town Primary School. Robinho Burton also enjoyed the movie, but from a somewhat different perspective. On their April 21 outing, the students were chaperoned at the Cineplex by teachers from the school, and employees from JN Fund Managers. Keisha-Ann Morgan (right), trading manager, JN Fund Managers, responds to questions. The deputy general manager pointed out that her organisation has assisted in enhancing the Allman Town school environment and, a special effort was made to reach out to the students themselves. 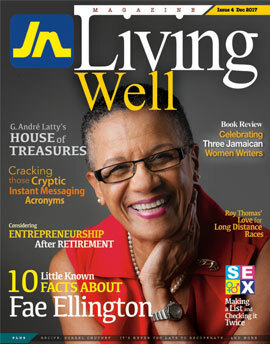 She said that along with upgrading the bathrooms and drinking fountain during the past school year, team members from the investment management company also read to the students, and invited them to participate in a recent beach cleanup with JNFM staff members. Located in Allman Town in eastern Kingston, the primary school has achieved success in introducing experimental teaching methods to improve the performance of underperforming students. One such experiment involved separating boys from girls in the lower school as they learn in different ways.